Read 2 times. Last read April 13, 2018. The romance is like 100% clean, the sweetest thing ever. Ty is just such a good guy, Jen is adorable. And Mike... I think we all agree that Mike is just the best. The story flow was really good. It was all just beautiful and taken care of and sweet and just makes you want to hug them all. And now I need some sweet tea. Thank you Jesseca for letting me be part of the beta team (seeing my name in print at the end is surreal) and for writing it! So sweet. So beautiful. So perfect. Just haaaa! XD. 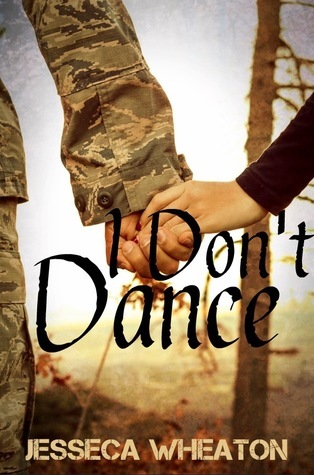 Sign into Goodreads to see if any of your friends have read I Don't Dance. "This is why I should not put off beta reading. Everything worth while has already been said. XD"
"I'm reading it again to give it a review. And yes, still internal squealing. XD"
"Yup, still grinning like a dork. Mike has to be my chaperone." Libby wrote: "I love this book so much."